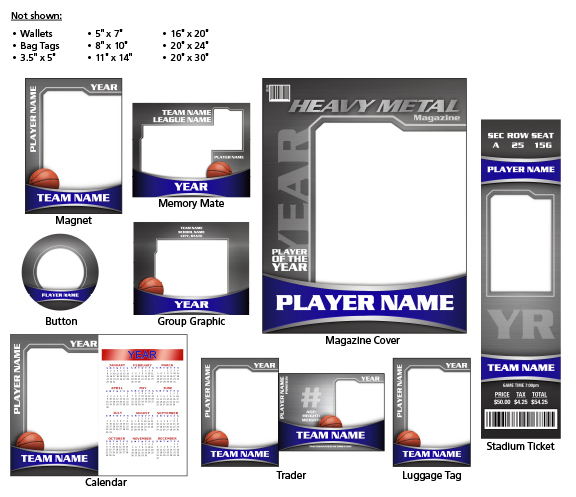 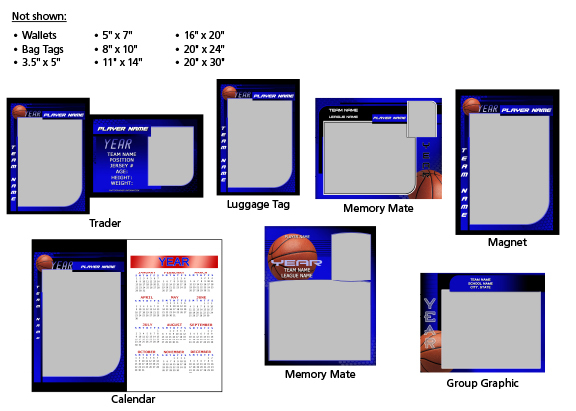 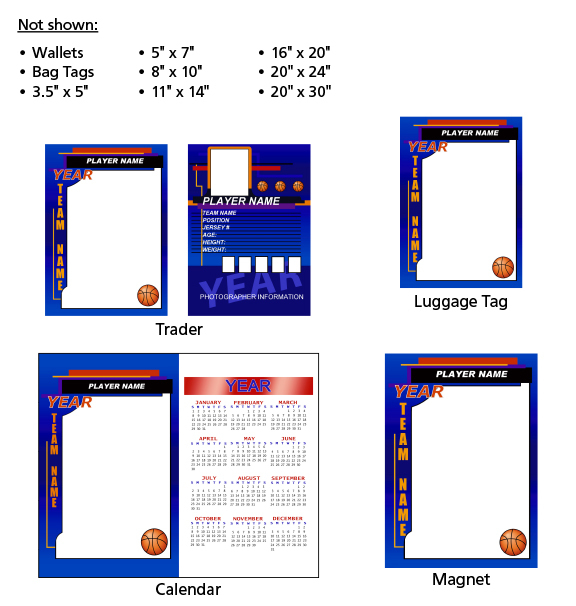 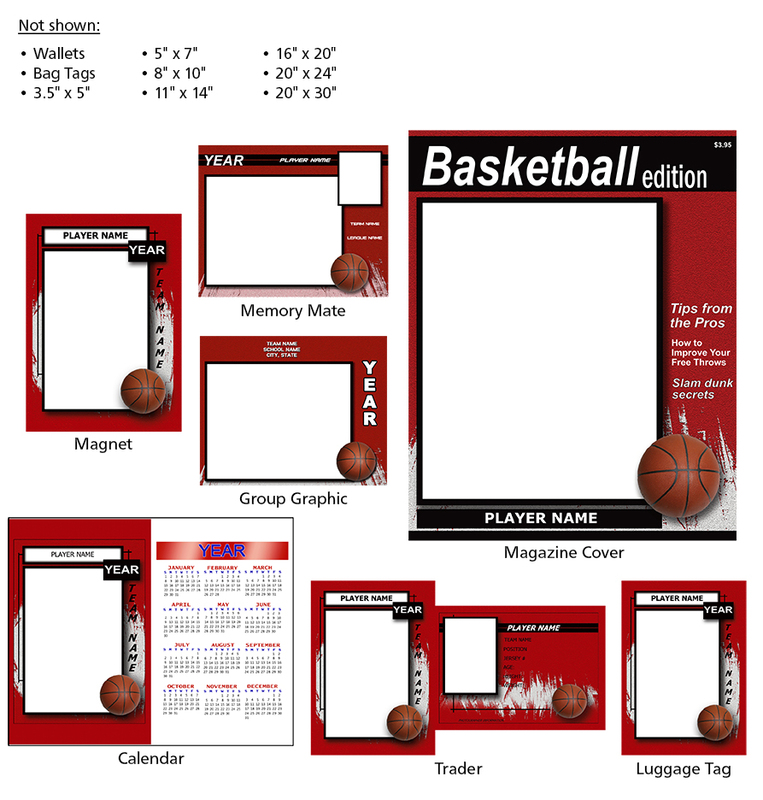 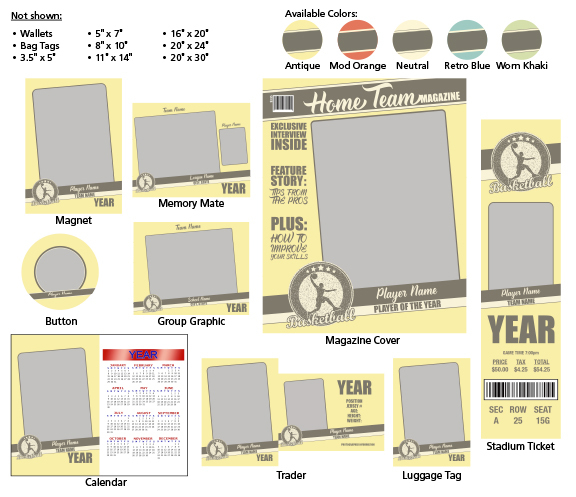 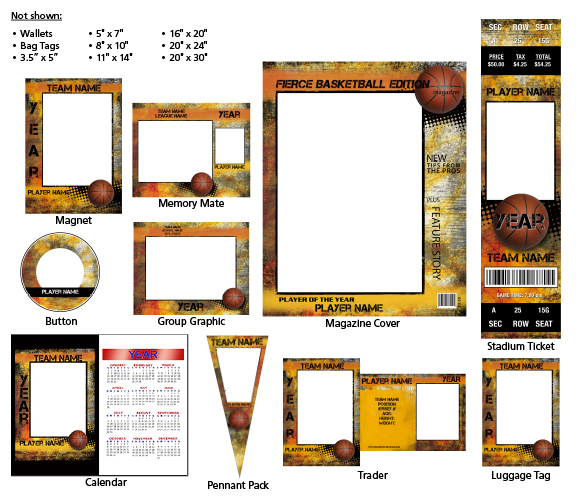 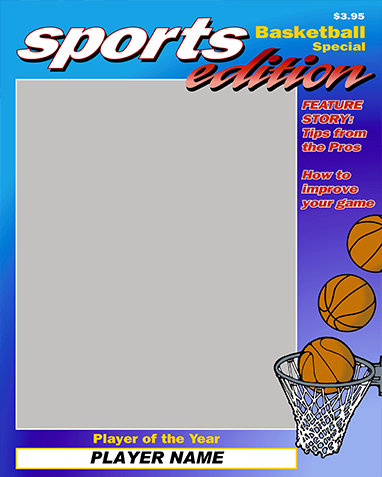 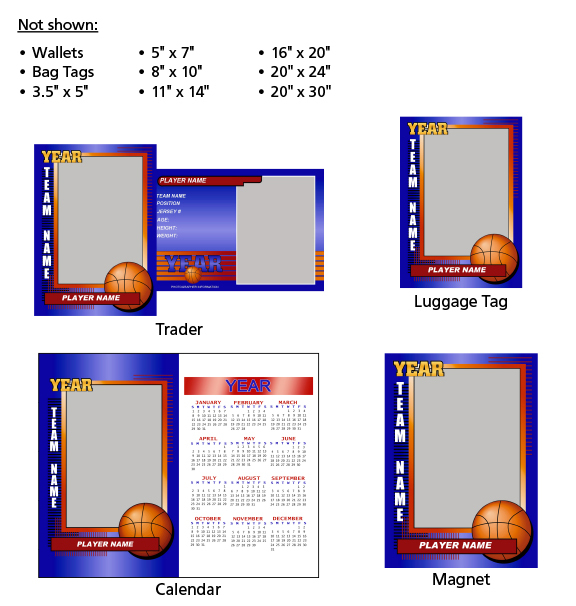 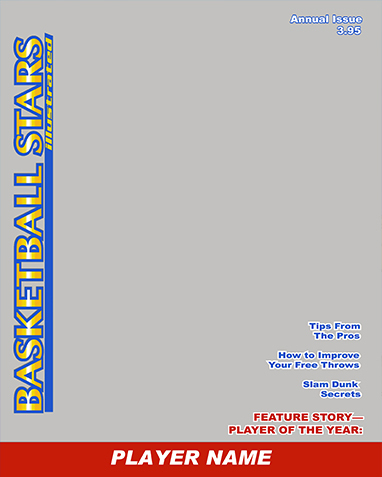 Showcase those little hoopsters for moms and dads with our beautiful basketball product design templates. 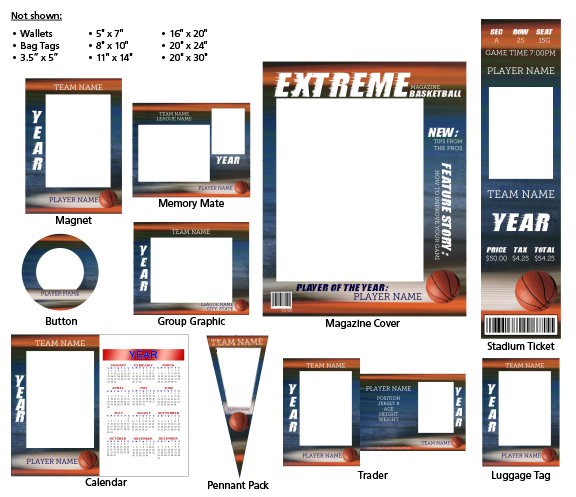 Mix and match designs or choose a themed design from our Complete Collections for a cohesive product offering your subjects and customers will love. 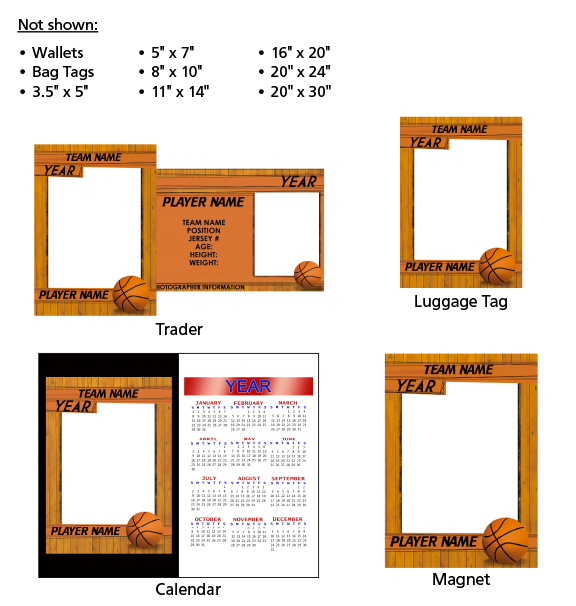 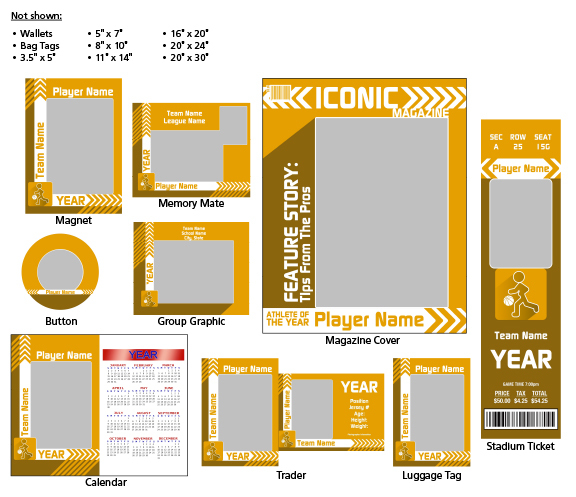 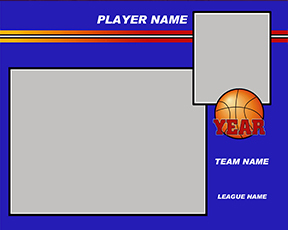 Our eye catching sports templates will have leagues knocking down your door to shoot their team photos!